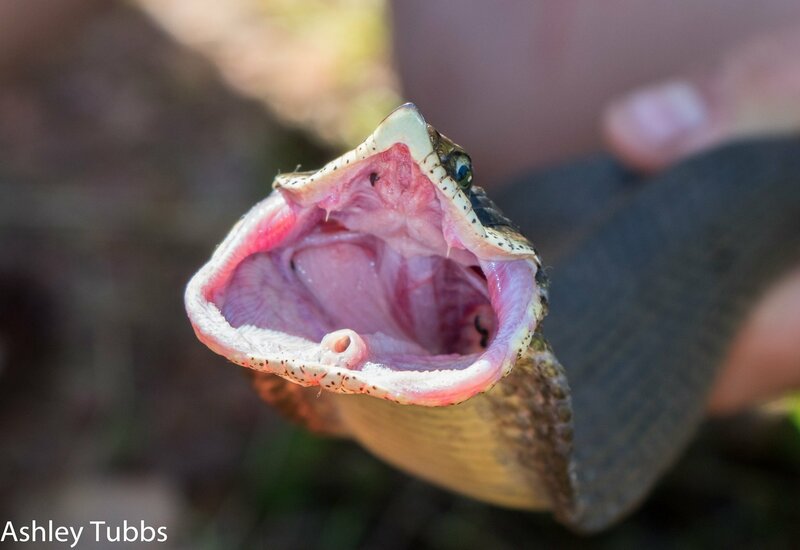 Did you know that many harmless snakes have tiny fangs in the back of their mouths? Don’t be alarmed! There’s no need to start running away from every snake you see. Venom is a widespread mechanism in the animal kingdom. It is used as an aid in hunting or defense—ants, bees, and spiders are some familiar examples of this. We have discovered that many species generally considered harmless to humans do produce relatively mild venoms. 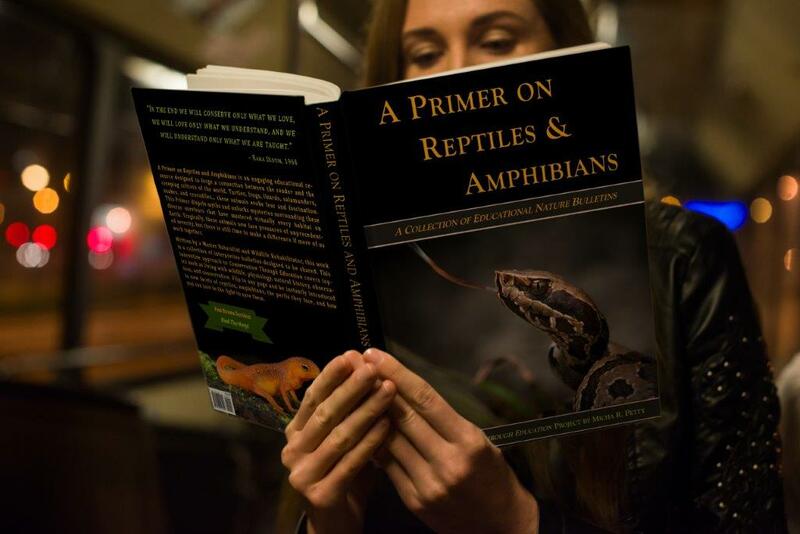 While there is still a great deal of research to be done before we understand all the ramifications of both the fangs and venom of these snakes, a natural hypothesis is that these compounds assist the snakes in their predation in one way or another. The small fangs may also help with grasping and manipulating their quarry, and the venom may further help them to subdue their prey. For example, many suspect that these fangs may help snakes which prey on toads to defeat the frogs’ defensive technique of inflating with air. In any event, we know that nature exhibits continual “arms races” as animals develop more and more effective offensive and defensive mechanisms in turn which contribute to their success within their various niches. Believe it or not, rear-fanged snakes such as these can be a controversial topic within the herpetological community. Many people prefer to use terms such as “mildly venomous” or “non-medically significant” to portray these adaptations. This often stems in part from a desire not to alarm members of the public who may run across this information and then commence to killing even more snake species than they already do. Such a reaction would indeed be unnecessary and unfortunate. Some shy away from the term venom altogether, either because they feel an acute need to avoid panic, or because they don’t view these mild toxins as worthy of the term. Nonetheless, these animals possess an intentionally induced, modified toxic saliva which produces an adverse effect in another organism to aid in predation or defense—which it is fair to say fits the definition of venomous. Be all of that as it may, we needn’t view these unique survivors with fear. These are generally small animals that are reluctant to bite people. In the case of the Hog-nosed Snake, they will go to extraordinary lengths to avoid a fight by flaring their head and necks like a cobra, feinting as if to strike, and then often playing dead. Even in the rare cases of someone receiving a bite (all of which have been from captive feeding mishaps), the effect produced is typically a mild swelling or itchiness, akin to the bite or sting of many insects. A very few more severe and prolonged reactions have been reported, but no special antidote is deemed needed. It is possible for people to be allergic to any venom (such as being allergic to bee stings), and it would be prudent to exercise care when handling these animals. Nonetheless, the best result of this knowledge is not more fear, but rather an increased respect for reptiles and their incredible diversity! Many snakes have enlarged rear teeth. While some of these are technically venomous, they are generally considered harmless to humans. 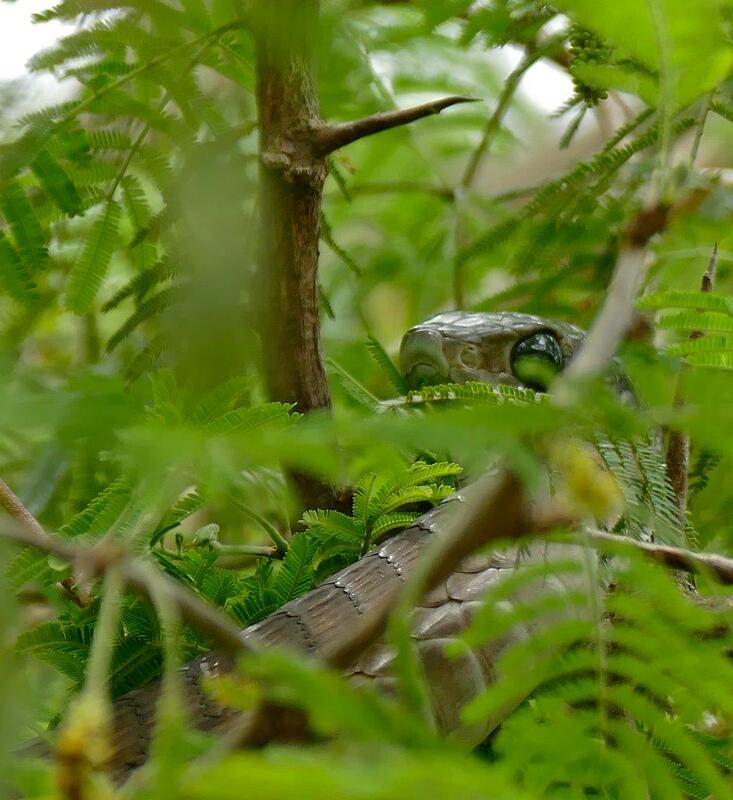 There are a very few dangerous rear-fanged snakes, such as the African Boomslang.